Over the course of just four days in late August 2017, Hurricane Harvey drenched a massive swath of Southeast Texas, flooding much of Houston and the surrounding region with more than 50 inches of rain. And with forecasters now shifting their attention to Hurricane Irma — one of the most powerful storm’s on record that’s already terrorized parts of the Caribbean en route to Puerto Rico and Florida — these “unprecedented,” once-in-a-lifetime disasters of biblical proportions are starting to seem a lot less extraordinary. So what’s going on here? 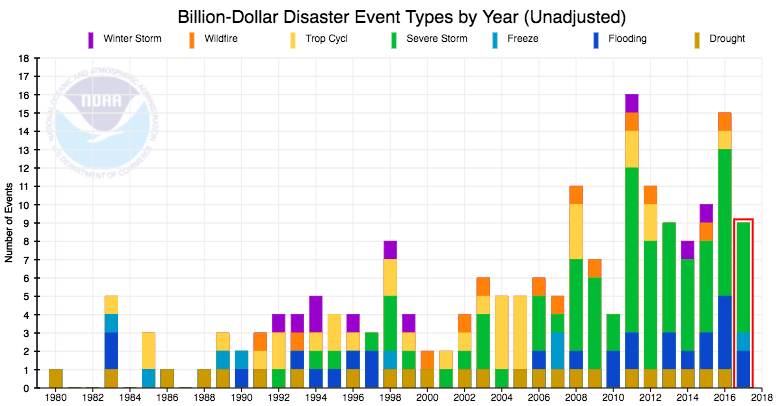 Why are these so-called extreme weather events — things like catastrophic flooding, heatwaves, droughts and even prolonged winter storms — happening so much more frequently? As the latest Above the Noise video explains, there’s an overwhelming body of scientific evidence that points to climate change as a major culprit. Climate scientists are generally quick to note that no single weather event can be solely blamed on climate change. After all, major hurricanes, droughts and other kinds of extreme weather are nothing new – they’ve been wreaking havoc for millennia. 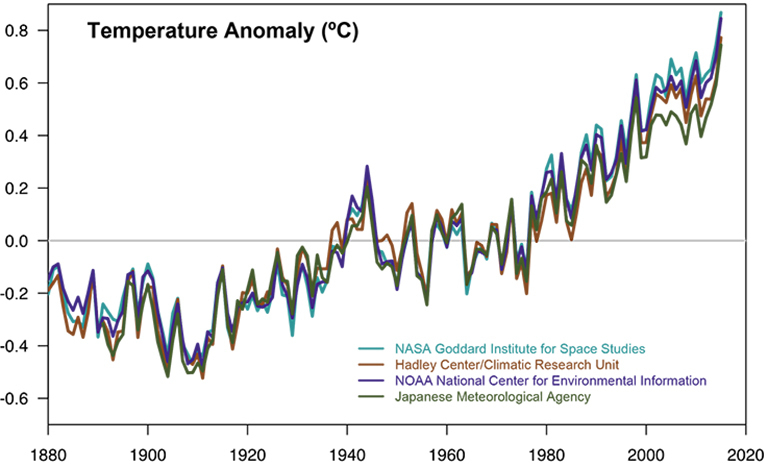 But the science clearly shows that a warming planet unquestionably contributes to more severe events. Take the increasing frequency of major tropical storms and floods, which scientists say are often exacerbated by warmer ocean surface temperatures and rising sea levels. Without climate change, a severe hurricane like Harvey may well still have been impressively destructive. But the ample vapor from warming surface waters in the Gulf of Mexico — now as as much as seven degrees warmer than the long-term average — contributed to the unbelievable volume of rain that the storm collected and then dumped on Texas. In other words, climate change didn’t necessarily cause Harvey, but evidence clearly shows that it made the storm more destructive. “Harvey, like every extreme weather event, occurs due to a pile up of random accidents in the atmosphere. Climate change can at most push the odds a little bit in one direction,” Adam Lobel, director of Columbia University’s Initiative on Extreme Weather, said in an interview with The Takeaway radio show. Pruitt’s sentiment, though, was echoed by a number of conservative policy organizations who were quick to question any link between major storms like Harvey and climate change.